Pruning is well underway with the end in sight. 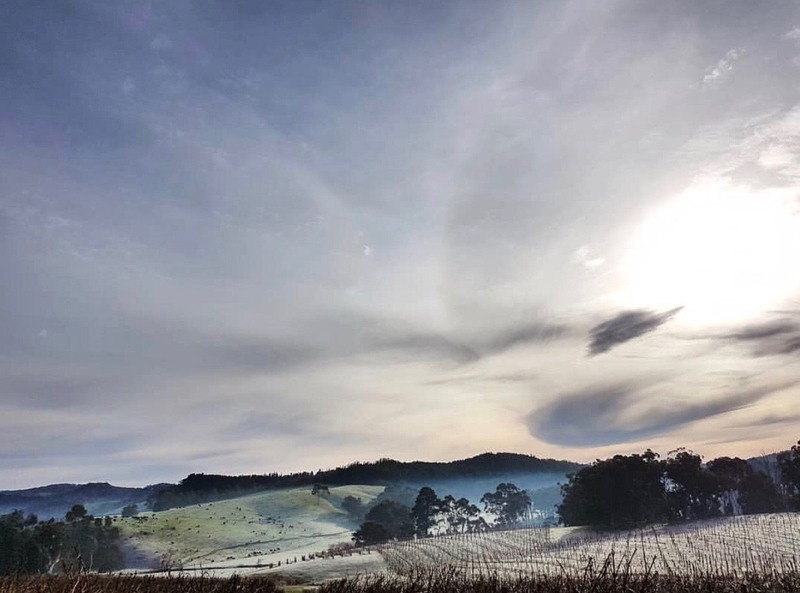 Greenleaf Vineyards are all finished and at Cobb’s Hill Vineyards, the pruning team are busy snipping away, layering and tying down. A few frosty mornings have made the start of the day a challenge but with most days on the sunny side we soon thaw out. A glass of Pioneer Pinot or Stagecoach Shiraz by the fire at the end of the day goes down a treat. Winter Red’s is just around the corner 27-29th July we are still taking bookings for Sunday 29th July. 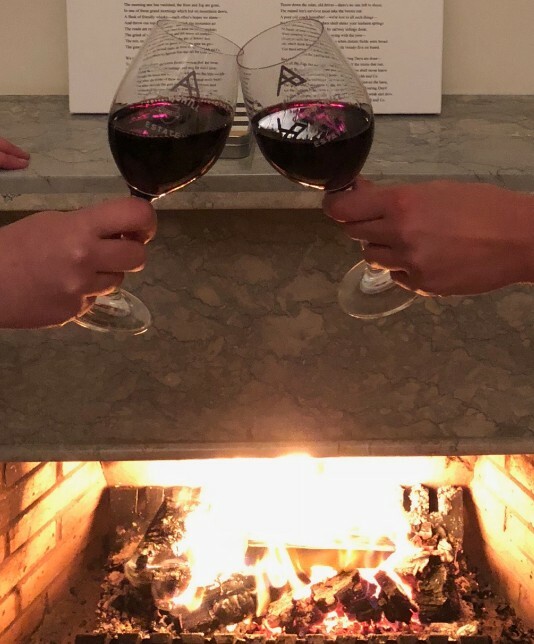 Blazing fires, Hot Potatoes with Chilli Con Carne, Mulled Wine, Cobb’s Hill Estate’s Premium Pioneer Pinot Noir and Stagecoach Shiraz will keep you toasty warm. It’s never too cold to try one of our Walking Trails. 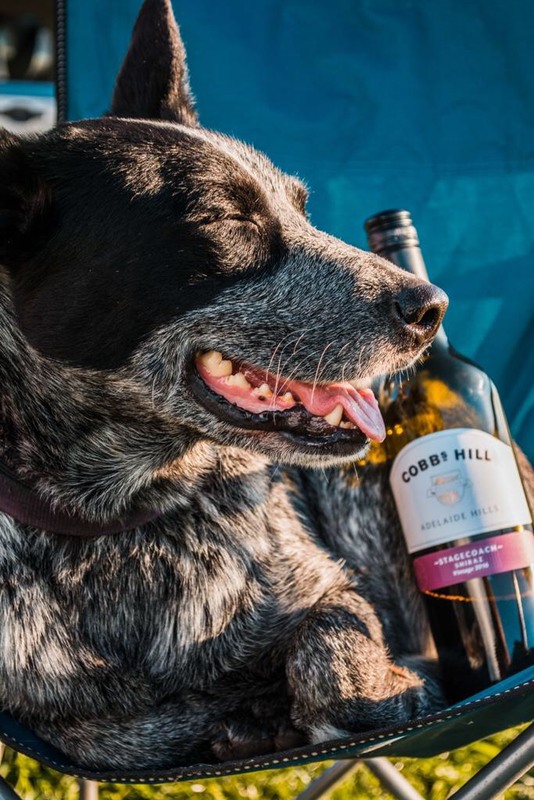 Grab a picnic basket, a bottle of red and a trail map from the Cellar Door and enjoy more of what Cobb’s Hill has to offer. 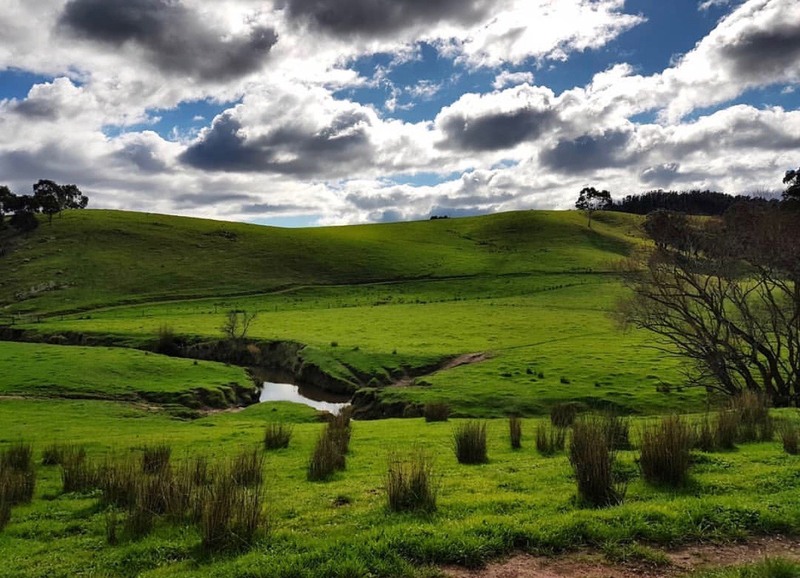 The two trails are each 2km with scenic views along the way, and designated picnic spots to enjoy food and wine.We do recommend a pair of comfortable walking shoes. 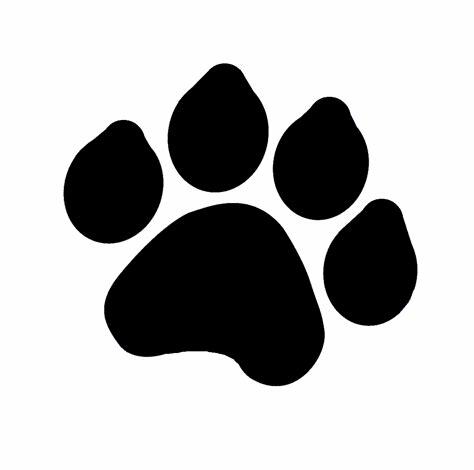 The trail is suitable for all ages ideal for young and young at heart. 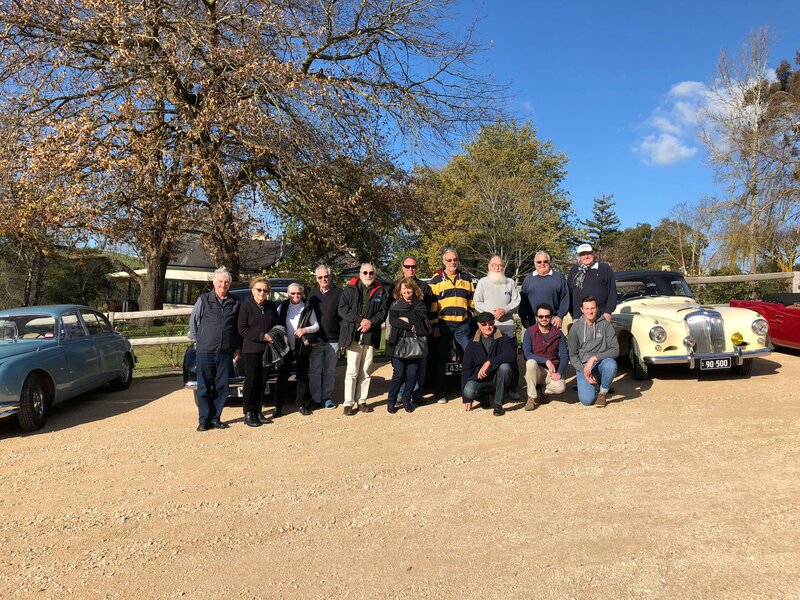 We welcomed the Daimler Car group for lunch in June, organised by one of our regular patrons Alan. Our homestead is an ideal meeting place for local clubs and interest groups to enjoy time together. 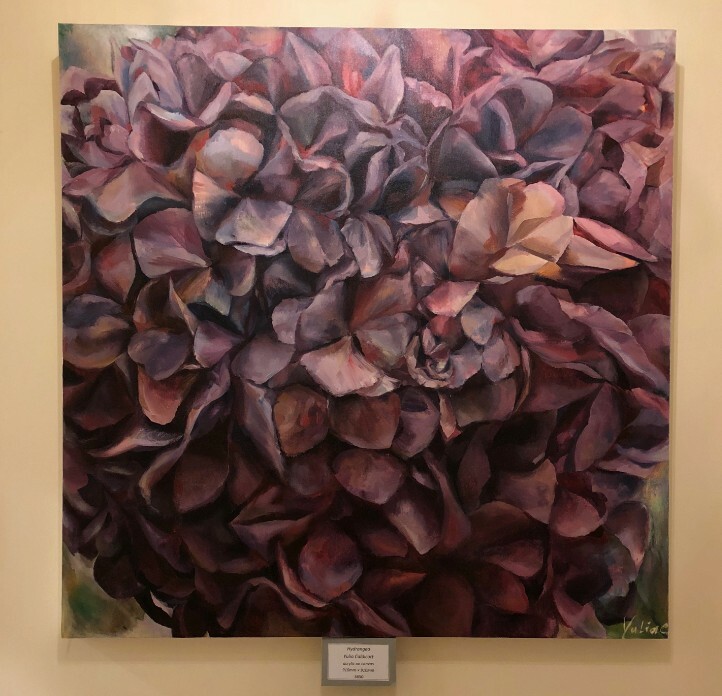 New artwork is up in our cellar door by local artists Sally Plunkett with a selection of contemporary style, and Yulia Caldicott’s beautiful Hydrangea paintings. Enjoy viewing and all are available for sale. The Cobb’s Hill Estate Wine Club is up and running with discounted wine prices on sign up, free shipping on wine delivery, discount on Bed and Breakfast stays plus much more. Ask our Cellar Door staff how you can come part of our wine club family. Congratulations to this month’s mailing list winner Noel, visit our Cellar Door for a complimentary gourmet platter and glass of wine for you and a friend.